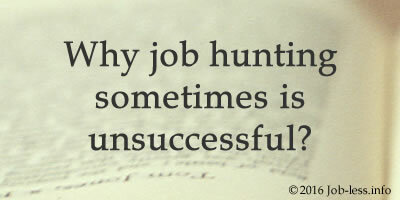 Article #11: Why job hunting sometimes is unsuccessful? In theory search of work seems to be quite simple: resume's (CV) mailing, interview, employment. But in practice it is far more difficult. Dave Cameron and the newspaper "15 minutes" learned about typical mistakes of work's applicants. If you are sending resume for weeks, and there is no response, it is obviously means that you made an error during its drafting. "I never invite a person for an interview if his resume or cover letter contained grammatical errors - says Victor Tsymbalarov, HR-specialist of company "Open doors", - This indicates either illiteracy of the person, or his carelessness." Do not try to put in the document all possible data about yourself. Limit it to information which may be useful at the chosen work. Try to make so your CV has less "milk and water" and more facts. For this purpose, specify the name of the company where you worked previously, your position, experience which you gained and your merits. Uncertainty on interview is a right way to refusal. Therefore, it is necessary to be prepared for conversation in advance. It is important to pick up the clothes corresponding to event. You shouldn't make at the initial meeting the steep demands concerning working conditions. It is possible to speak about it after you will show yourself as the professional and valuable worker. Answering a question of your weaknesses, you shouldn't tell about all the failings and bad habits right there. Better name exactly those which cannot influence quality of your work. You shouldn't turn interview into the monologue, or silently listen to the employer, without asking questions. Both in that and in another case interview cannot end in your favor.